Our mission was sparked by the passion to bring one child...using one gift...into one family. 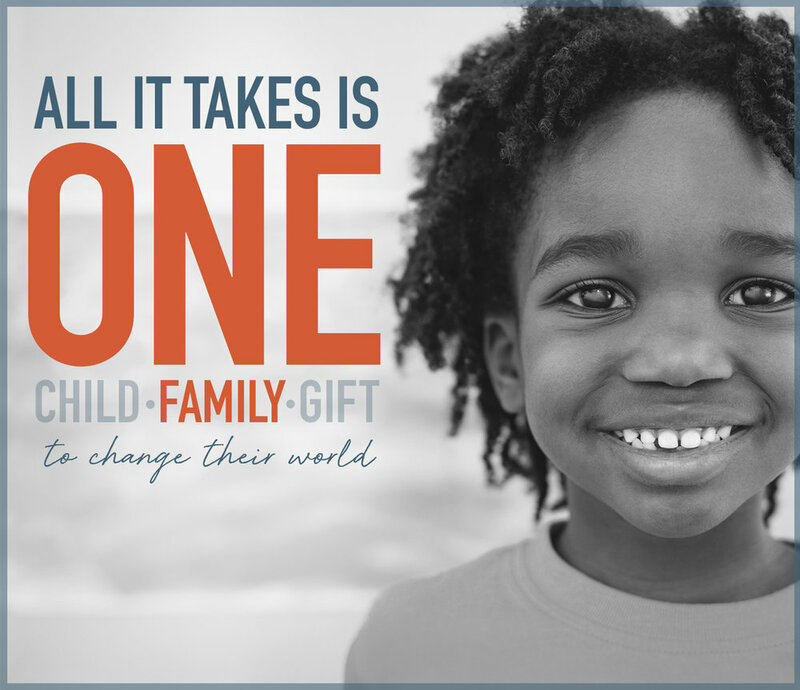 All it takes is ONE person to make a lifelong change in the life of ONE child and ONE family. Will you be that ONE? Our Impact. Our Hearts. Our Commitment. We have raised over $140,000 in funds to help support adopting families. Our funds continue to grow every year thanks to our generous supporters. Donations through Gregory's Gift have helped bring 50 waiting children from around the globe into a loving home. Gregory's Gift is comprised of dedicated individuals with a passion to bring waiting orphans into the homes of loving families. All operational costs are covered by the families who run this organization to ensure every dollar donated goes to an adopting family in need. Gregory's Gift has had the honor to be a part of incredible adoption stories. Hear from some of the adoptive families that received funding from Gregory's Gift and how your gift can truly make a difference.